Whilst the smoke rose from the leaders' barbecue at the Twyford Christmas Fayre last weekend, a rather different display of Christmas spirit was happening at St. Mary's church. Charities and businesses from all around Twyford were tasked with the creation of their take on a Christmas tree as part of the church’s celebration of Christmas in the community. 1st Twyford produced two trees for the event. The Beavers created a ‘handprint tree’ featuring their handprints in paint arranged into a tree under an acrylic sheet, a piece created in joint celebration of the group’s centenary. The Scouts and Cubs collaborated to create a second tree; the Scouts created a suspended tree by lashing branches of increasing size together into cross pieces, the pieces were then suspended from a ‘gallows’ frame to create the Christmas tree shape. With the tree assembled, the Cubs were tasked with decorating it in a suitably Scouting fashion. They made diamond baubles from gold and silver card sticking various scouting badges onto the centre. 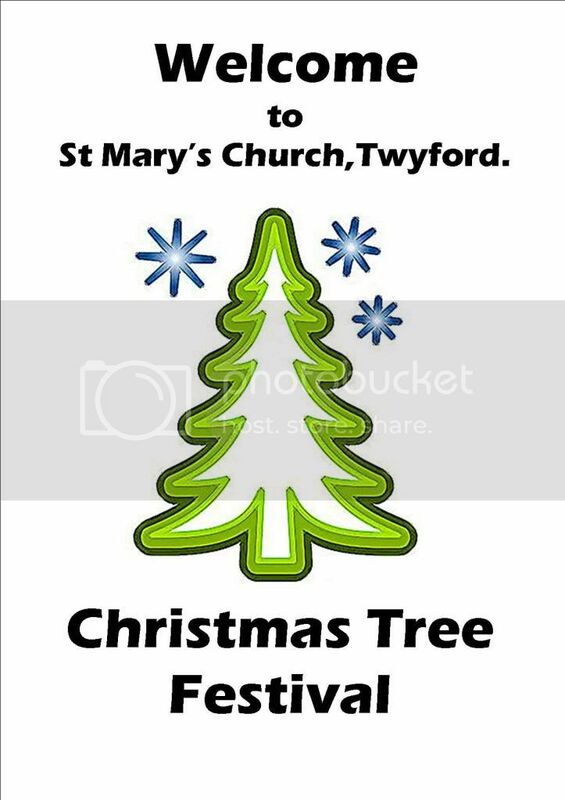 Both trees were displayed in the church throughout the festival and will be present at the 1st Twyford Group carol service on Monday 19th December.